The news about KMart and Sears has been bad for a couple of years. It's gotten to the point where Wochit News speculated that Kmart May Close For Good. It has been reported that 166 Kmarts and Sear store locations are expected to close by the end of April 2018. According to Business Insider, "Kmart faces intense competition from other discount chains and Walmart, and Sears Holdings has close[d] Kmart stores at a more rapid rate than its namesake store." Most stores are unorganized, sell items typically available at drugstores, and everything is on sale. I suspect Kmart follow Toys R Us into bankruptcy once the holiday shopping season is over and could be closed by the end of 2019, just when I'm predicting the U.S. to be in recession. As I wrote above, the news about Kmart has been bad for a couple of years. 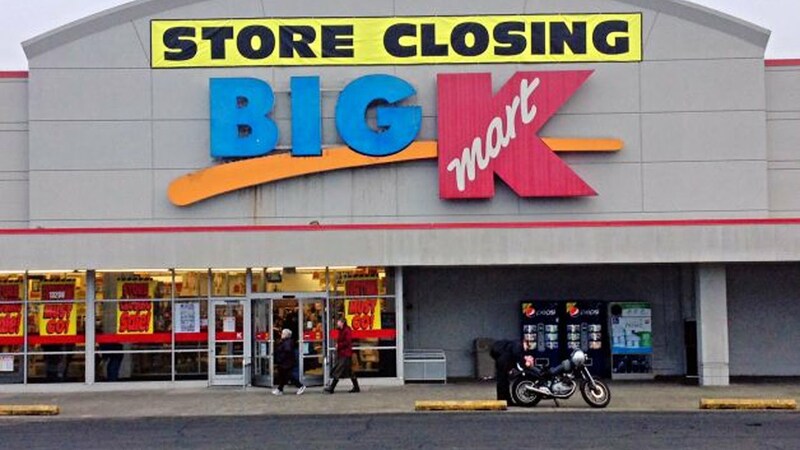 Last year, Dan Bell mentioned that as he followed the closing of a Kmart near him in DEAD MALL SERIES : THE END OF KMART : From Open to Closed to Abandoned! I've already left a comment on one of Bell's videos requesting that he do the same thing for a Toys R Us store that he did here. I hope he complies, although it make take until the end of the year to see if he did. *There's a double irony here. 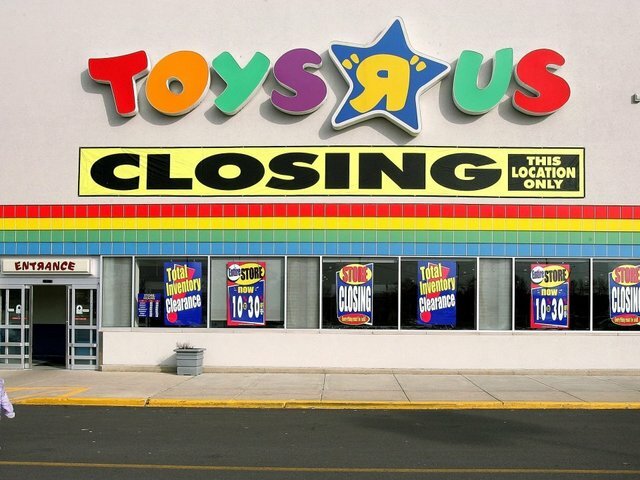 First, Toys R Us bought the KB Toys brand and was using it on its line of self-manufactured toys as of 2012. Two years ago, it sold the name off and the new owners are planning on taking advantage of the former owner's misfortune. 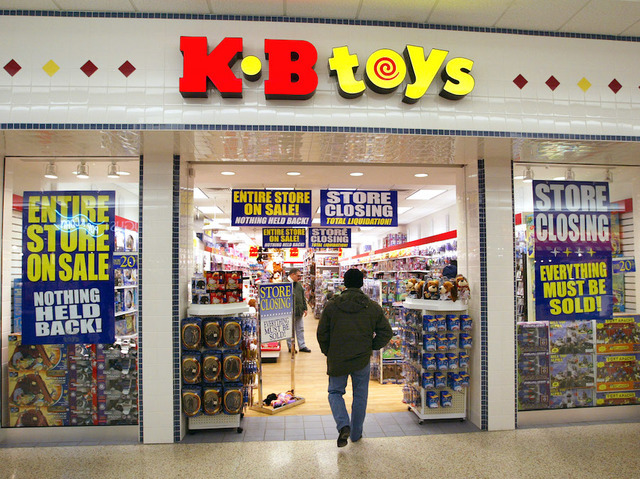 WKBW in Buffalo has that story, reporting KB Toys aims to fill the void of Toys 'R' Us. I'm glad to have KB Toys back and wish the new owners luck. They'll need it.